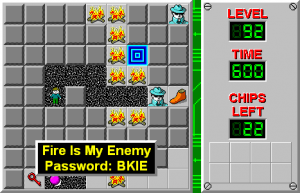 Fire Is My Enemy - The Chip's Challenge Wiki - The Chip's Challenge Database that anyone can edit! Think outside the box for this part. Fire Is My Enemy is the 92nd level in Chip's Challenge Level Pack 4. It was created by Josh Lee. 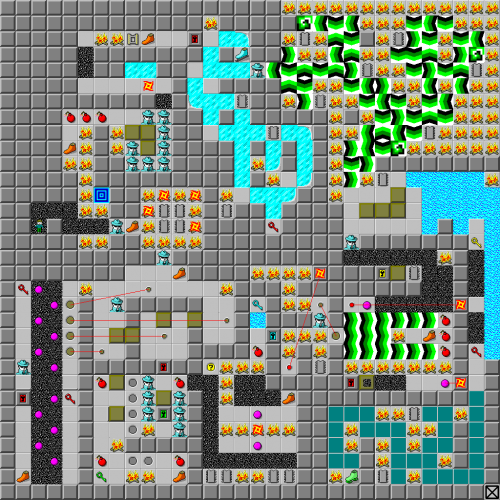 This level uses the wall configuration from Jumble.